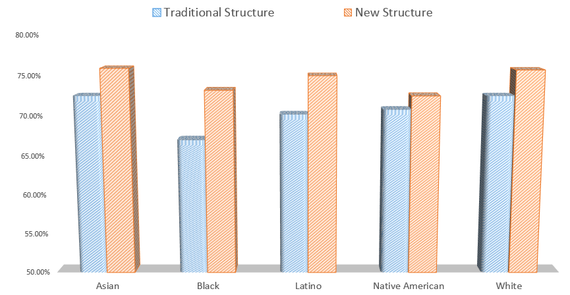 The results of [a study by Kelly Hogan, a biology professor at the University of North Carolina, and Sarah L. Eddy, a postdoctoral scholar at the University of Washington] showed a stark difference in how changes in teaching styles affect minority students. As you can see in the full article, the study is based upon a limited sample, so it is difficult to generalize just on these results. However, they are consistent with numerous other studies of how conditions in the class room affect different types of students differently, going back to a ground-breaking study by Summers and Wolfe in the 1970s. « What makes a University Entrepreneurial?